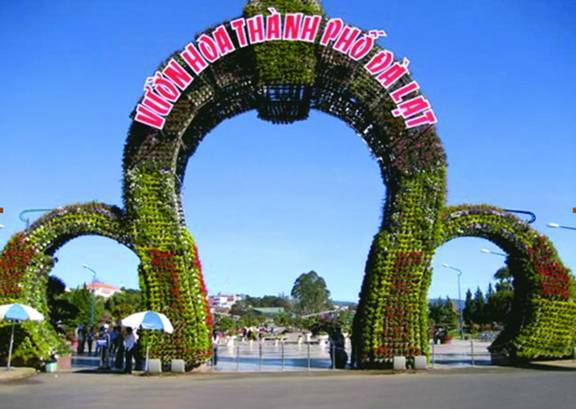 The City Flower Garden of is listed as one of the most celebrated tourist attractions in Dalat in 2014. Dalat has been known as the city of Eternal Spring and Thousand Flowers with heaven-sent cool climate all year long and fertile soil suitable to grow various types of flowers. 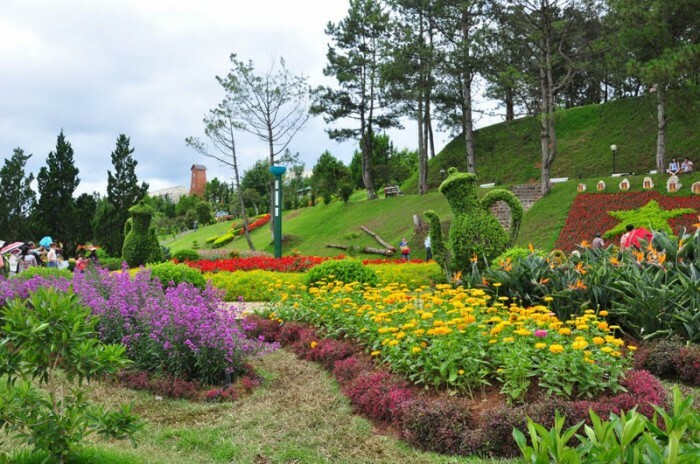 Every tourist coming to Dalat should visit the City Flower Garden to contemplate hundreds types of flowers displayed extremely sophisticatedly and impressively. Located on Ba Huyen Thanh Quan Street opposite Xuan Huong Lake, the garden is very popular with both domestic and international visitors. 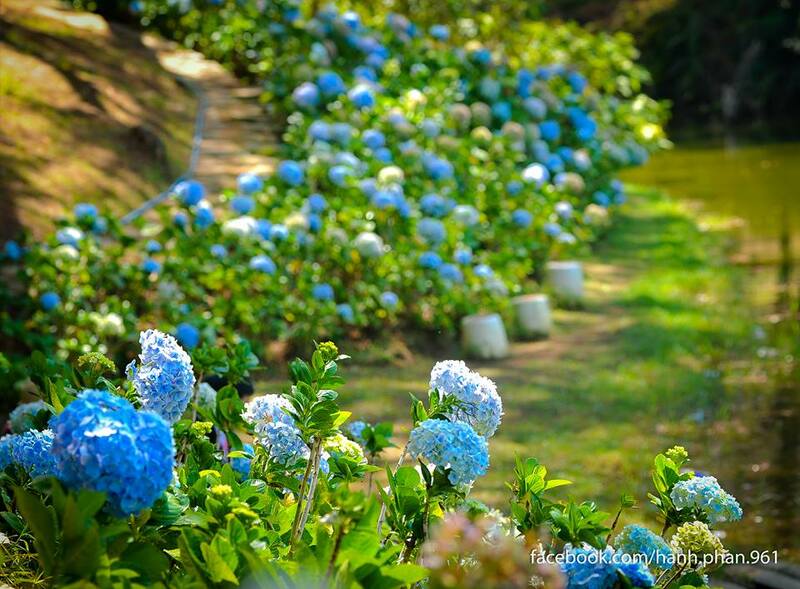 The garden is a home to the most beautiful and elegant flowers from every part of Vietnam and some regions worldwide, such as from France, Italy, Japan, Netherlands, and many other places. Welcoming tourists to the garden is an arc-shaped gate of hundreds of flower pots meticulously set and arranged. The garden inside is actually a small world of myriads of blooming flowers, which will certainly satisfy every visitor. 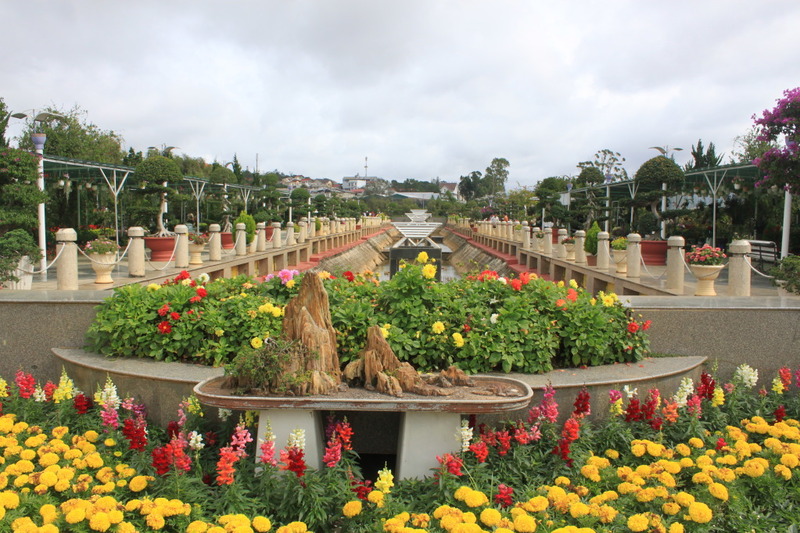 With an area of approximately 15 hectares, the City Flower Garden of Dalat is home to over 300 kinds of flowers from all over Vietnam and some other new kinds having just been imported to Dalat, such as Roses, Daisies, Gladiolus, Orchids, Hydrangeas, and many other flowers blooming all year round. Especially, thanks to skillful and talented growers, unsentimental flowers have turned into lively creatures in human-like shapes, allowing visitors to enjoy their other human aspects. Apart from the outdoor area, the garden has also private galleries where visitors can contemplate charming flowers from close distance. 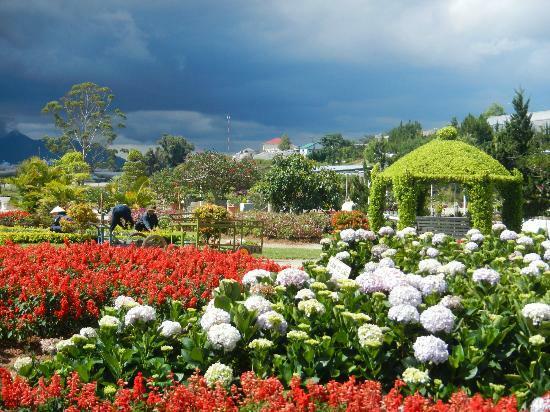 Don't neglect this fantastic site for your trips to Dalat!